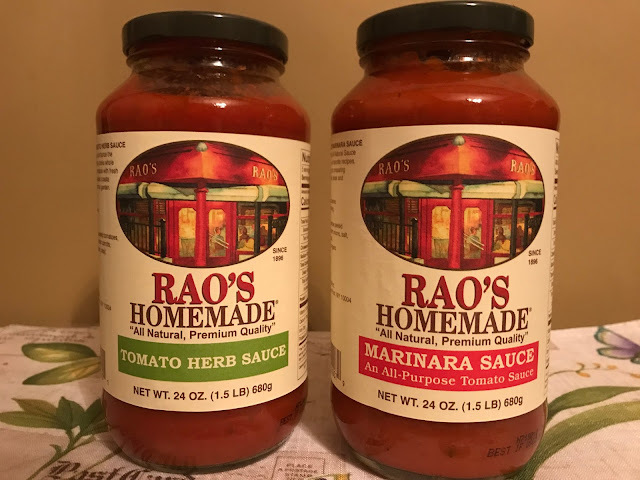 If you know the New York restaurant scene, then you know Rao's and if you know Rao's, you know how difficult it is to get a reservation there. It is known to be the toughest place to get a reservation in the United States. Rao's has been a New York icon since it opened in 1896. My brother and his wife once got the opportunity to dine there and said it was the most amazing meal they ever had. Now, you don't have to wait to get a seat in this premiere restaurant because Rao's sells its delicious sauces and pastas, cookbooks and more online and in select retail locations. 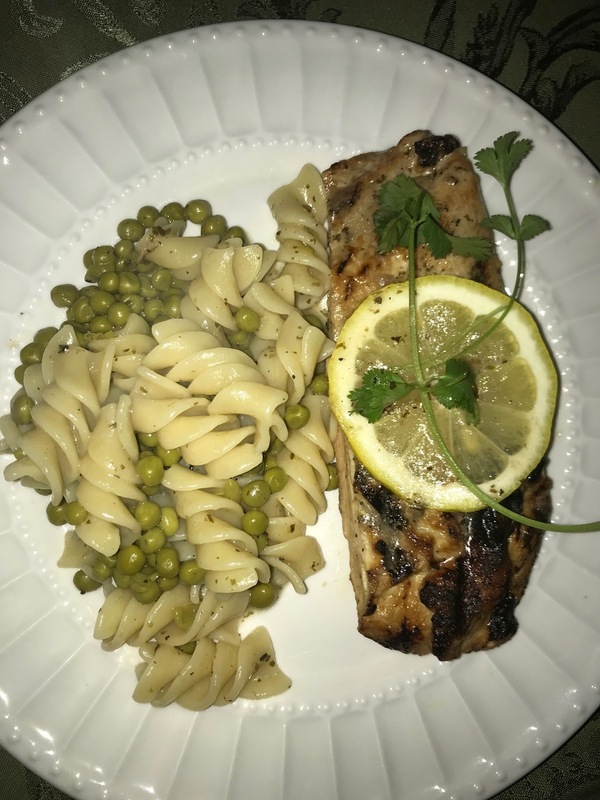 I made this simple and delicious meal for my family and wanted to share the easy recipe with you. Start by grilling thin sliced chicken breast. I usually like to cut mine about 1/2 inch thick. Start with a hot grill pan so that you can get a nice char on your chicken. You can even use your grill, if you'd like. Next, place your grilled chicken into a shallow pan and add 1 jar of Rao's Homemade Lemon Cooking Sauce. Remove your chicken from the pan. Spoon a little of the sauce over the chicken then, leave the rest of the sauce in the pan. Serve your chicken pretty platter, garnished with lemon. Place your drained Fusilli and peas in the remaining sauce and lightly toss it. That's it! Serve and enjoy! Rao's Fusilli is big and beautiful. It is certain to impress your loved ones and guests. Rao's makes so many different pastas and sauces. 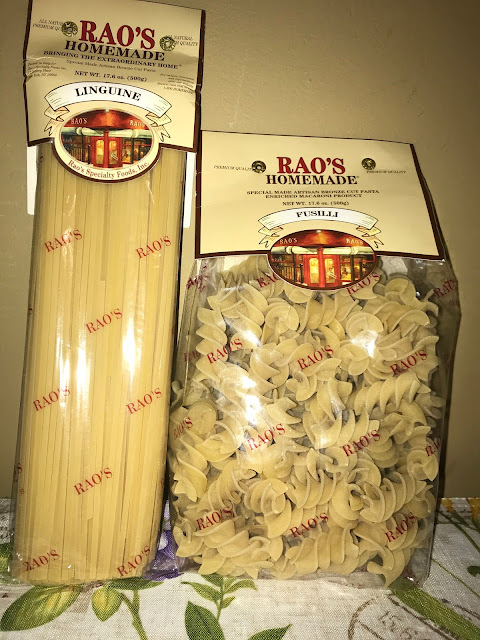 Look for Rao's at a specialty store near you, or shop online for all of their delicious Italian foods. Disclosure: I received products to facilitate this post. All opinions expressed are my own. Yours may differ. I live near NYC but have never been to Raos! I have heard great things about it from those who have. I happen to LOVE lemon chicken. It will make it so much easier to make using their sauce. I never even knew a sauce like that existed!! Thank You!! I have never heard of Rao's Homemade Lemon Cooking Sauce. This looks so good! Next time you're in NY, check it out! They also have 2 other locations. One is in Vegas. Awesome! They will love it. My son did! Yum! That meal looks and sounds so delicious! I need to get my hands on Rao's products! Yes, some of their products may also be found in your grocery store. 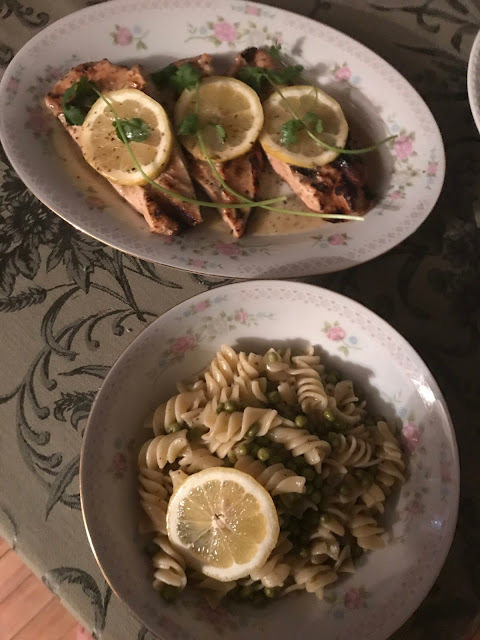 I love making lemon chicken ever so often. I love pairing it with asparagus and rice. That sounds amazing. 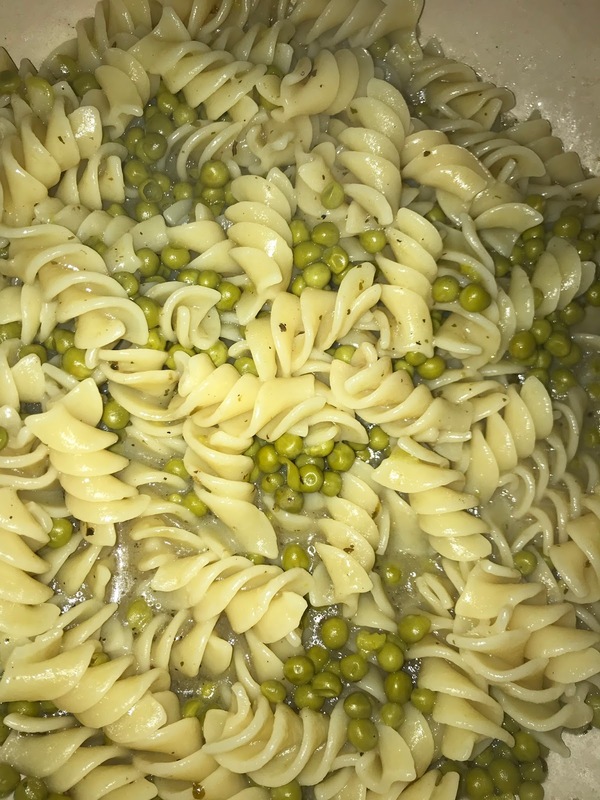 My son, who is a grown man, loves pasta with peas. He also likes mashed potatoes with peas. So I often make them . I am going to definitely pair this with asparagus next time. This looks so delicious and simple to make! I'll try to add it into my new recipes to try this month! Oddly enough I do want to make this lemon chicken now. This is one of my son's favorites. I make it in the crockpot, this looks really yummy though and I like the addition of pasta. My daughter & I love lemon! 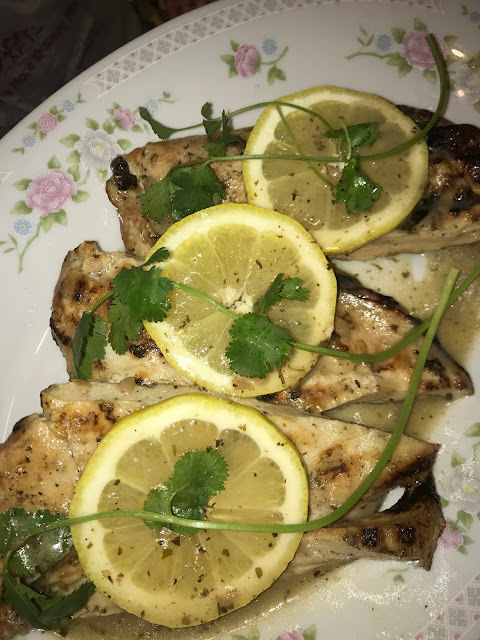 I have never tried or made lemon chicken but it does look delicious. I love incorporating lemon into my dishes - adds so much freshness - so I'm all about this recipe! I love fusilli too. I am going to have to try this recipe. it looks really good. I love anything that has lemon in it. This recipe looks like it would taste great.